Bridlington darts players who are looking forward to competing at the Spa. Local darts players will share the stage with some of the country’s top names as Bridlington Spa hosts the BDO British Open this weekend. A number of players from the Bridlington leagues will take their place on the oche alongside all the top-ranked BDP stars. This year’s event will be the biggest yet and prize money has been increased to £26,320, making the competition a category A+ event. 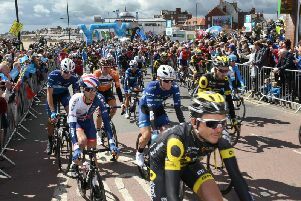 Coun Jane Evison, cabinet portfolio holder for economic investment and tourism at East Riding of Yorkshire Council, said: “These events are always very popular and attract visitors from throughout the world to the East Riding. The BDO is replacing the pair’s event on Saturday with another singles event, The BDO Winmau British Classic, so the weekend will become a double header. This format is becoming increasingly popular throughout Europe and the women also have two events to play for. The weekend kicks off on Friday night with a blind pairs event for both men and women. Sue Williams, chairman of the BDO, said: “This is the weekend that brings Bridlington to life with all the hotels filled up and is a favourite with the players. Entry to the Spa is free for Friday’s pairs events with doors opening at 5pm. Saturday’s darts begins at noon and tickets are priced at £10. It is the same price on Sunday, when the competition gets underway at 10am.